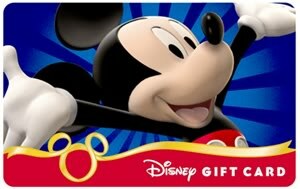 One lucky fan of Mickey by Mel, Mouze Kateerz, and My Dreams of Disney will win a free $50 Disney gift card! That’s it: just three simple requirements! You can earn additional entries by doing extra tasks such as following Pinterest accounts, Google + accounts, liking the blog post or sharing the post, but these are not required. This is a short contest, lasting for one week; from 12:01 AM on Monday, June 18, 2012 and concluding at 12:01 AM on Monday, June 25, 2012. The winner will be randomly selected by Rafflecopter on the 25th. The winner must be verified as belonging to all three Facebook groups, and then the lucky winner will be announced on our Facebook Fan Pages and also via email. The winner will have 24 hours to claim the prize or a new winner will be selected.